The autobiography of Bill Sarpalius reads like a 20th-century version of the American dream – equal parts heartbreak and inspiration, culminating in an unlikely political career capped by three terms in the U.S. Congress. 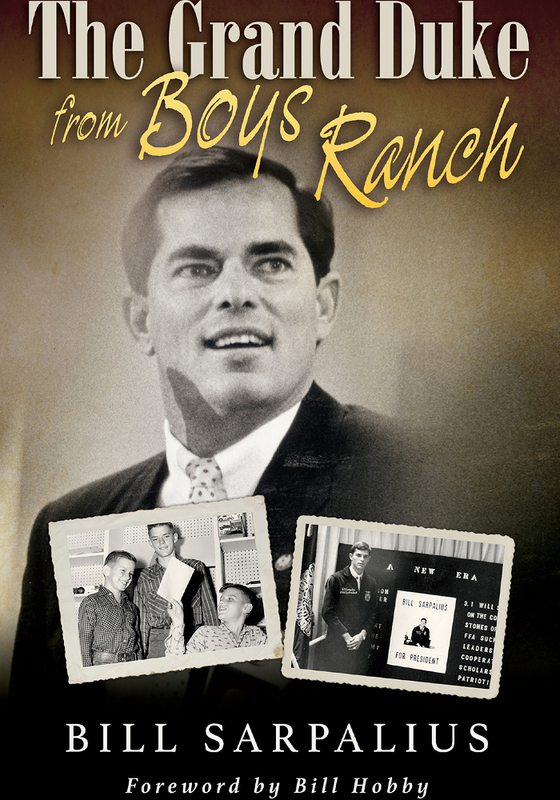 “The Grand Duke from Boys Ranch,” published by Texas A&M University Press, describes Sarpalius’ journey from an itinerant childhood with his brothers and mother as she battled alcoholism and mental illness. Ultimately the brothers went on to live at Cal Farley’s Boys Ranch north of Amarillo. From that beginning – at 13, Sarpalius was unable to read, and he recounts brutal abuse at the boys’ home – he ultimately earned a scholarship from the Houston Livestock Show and Rodeo, graduated from college and embarked on a life in politics, serving in the Texas state senate and being elected as a Democrat to represent Texas’ 13th Congressional District in 1989. He will discuss the book, his life after public office and today’s state of politics in a conversation hosted by the University of Houston Hobby School of Public Affairs, where Sarpalius is a research associate. Jim Granato, a political scientist and executive director of the Hobby School, will interview Sarpalius before a book signing. The event starts at 6:30 p.m., April 24 at the Waldorf Ballroom of the UH Hilton. The event is free and open to the public. For more information and to register, see this website. from Boys Ranch,” at an event sponsored by the UH Hobby School of Public Affairs. WHERE: University of Houston Hilton, Waldorf Ballroom. Parking at the Hilton garage. Map.